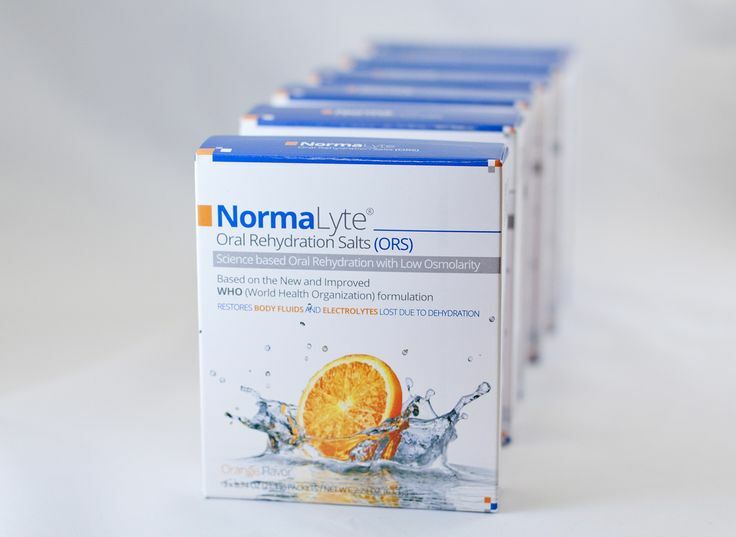 I’d like to share with you my new favorite Potsie product- Normalyte. I discovered this miraculous mixture at the Dysautonomia International Conference this year, where they were participatng as part of the vendor fair. I ran into the Normalyte developpers there, and got talkng to Sam Lee, one of the people who created it. They explained to me that it is a powdered drink mix, developed by pharmacists and chemists, in order to achieve better hydration by using the body’s natural chemistry. So from my very limited understanding of biochemistry, the body has glucose-sodium receptors (not sure if that’s their real title, but that’s what I’m going to call them), that transmit glucose and salt at the same time to parts of the body, hydrating them. You can’t transmit one without the other, so by creating a drink with both glucose and sodium at the same time, the body can absorb it better, making a much better sodium AND fluid intake for those of us that need it. You just open a packet, pour it into 1 liter of water, and enjoy 1 liter of fluids plus 4 GRAMS of sodium. And it’s much easier on the stomach than salt tablets. Honestly, it takes a little while to get used to it. The only flavor is orange, for now, but they are working on developing more flavors in the near future. It’s not bad, but one thing I will say is that it tastes thick. I cant think of a better word to describe it. I guess it has to be thick because there’s so much good stuff in it. To help get used to the flavor, I started mixing it with things- It’s really good mixed into juice, especially orange juice with a little vanilla extract. It tastes like a cream-sickle! Anyway, Normalyte is fantastic. Its a great pick-me-up, especially when having a potsie episode, or even just a good start to the day, drinking it right after waking up. I HIGHLY recommend it, even just to use intermittently, or on an as-needed basis. It is full of so much good things for us, Potsies. You can buy it on Amazon HERE. Go do it. Now. It will be your best decision today. You can also check out their website HERE. Try it, then email me at potsienb@gmail.com 🙂 enjoy!